Our five cabanas are all right on the beach, each has a private veranda with hammock to enjoy a good book, cold beer or just take in the beautiful views. They share comfortable lounges that you can take right to the water's edge. All cabanas have in-suite bathroom with hot shower, toilet and wash basin; they also have fridge, coffee maker and ceiling fan(s). The largest cabanas, Del Playa and DelMar, have large decks with tables for outdoor dining and barbecue, hammock and deck chairs for relaxing and enjoying the unobstructed sea view.Â Both have full kitchen with dining area and everything you need to cook four course meals.Â DelPlaya sleeps 4 (one double bed and one double futon) and rents by the night, wee or month.Â Del Mar sleeps 5 (one double bed, one double futon and one twin bed). Great for a family or a group of friends who don't mind sharing space together. 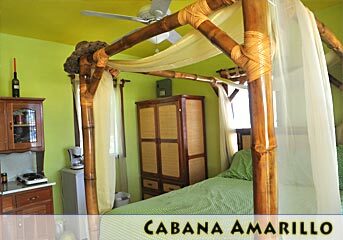 Cabana Amarillo is a cosy little room suitable for 2 people with its canopy bed and galley kitchen. 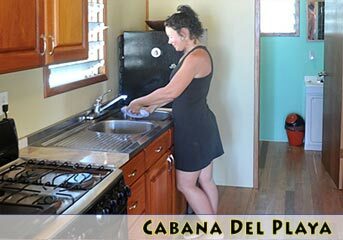 Finally, Cabanas Azul and Naranja sleep up to three people, each with a queen and single bed, and basic supplies for simple non-cooked meals. 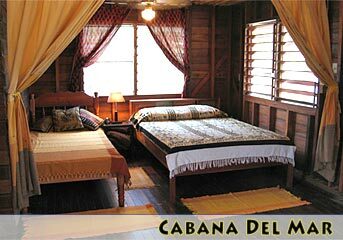 Del Playa: $80 USD/$160BZ for 1-2 persons, $15USD/$30BZ additional per person. $425 USD/$850BZ per week $1,200 USD/$2,400BZ per month for 1-4 persons. Rates do not include 9% room tax. DelMar: $65 USD/$130BZ for 1-2 persons. $15USD/$30BZ additional per person. Ask about our special family rates for children under 13. Rates are per night and do not include 9% room tax. Amarillo: $49 USD/$98 BZ for 1-2 persons, per night. 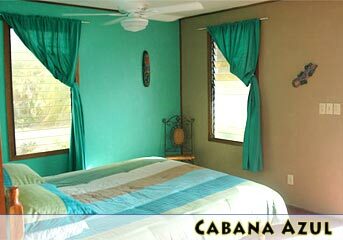 Azul: $49 USD/$98BZ for 1-2 persons, per night; $15USD/$30BZ additional per person. 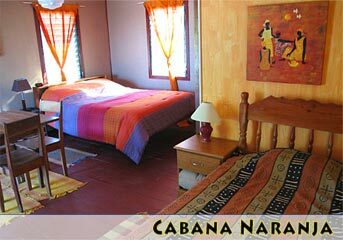 Naranja: $49 USD/$98BZ for 1-2 persons, per night. $15USD/$30BZ additional per person.